Representation of clients in all types of real-estate transactions from the stage of negotiations, sales agreements, combination agreements, rental and leasing agreements, and actual registration of rights at the Land-Registry, the Israel Lands Administration, mortgage companies, etc. Wills, prenuptial property agreements signed before and after marriage, divorce agreements and reconciliations. Legal services regarding inheritance claims, wills and bequest and etc. The firm offers legal and commercial advice, including guidance during negotiations, drafting agreements and editing of contracts. Other legal services include establishment of companies, registration of the formation of companies, partnerships and associations and etc. Our office provides various types of notary services in various languages including: Turkish, French, Spanish, English and Hebrew. Adv. Sami De-Kalo has been a notary since 1991 and Adv. Ofer De-Kalo has been a notary since 2014 since 2014. De-Kalo Law Firm has been active since 1975 and specialises in real estate, taxation, planning and construction, commercial & civil law, executing, inheritance law, matrimonial and family law. 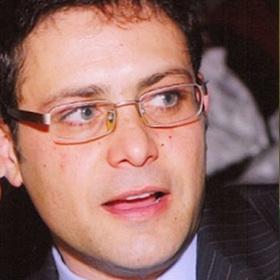 De-Kalo Law firm is managed by advocates Sami De-Kalo his son, Ofer De-Kalo. As a family business, the firm prides itself in being able to offer its clients that extra ‘personal touch’, from tailoring its legal services to the clients specific needs. Both Sami and Ofer involved ‘hands on’ in all the firms cases. 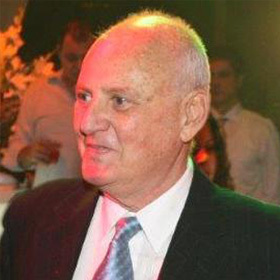 De-Kalo Law firm is managed by advocates Sami De-Kalo his son, Ofer De-Kalo. As a family business, the firm prides itself in being able to offer its clients that extra ‘personal touch’, from tailoring its legal services to the clients specific needs. Both Sami and Ofer involved ‘hands on’ in all the firms cases. The firm provides its clients, from Israel and abroad, with a wide range of services, among others, representation, litigation at the courts, arbitration, judicial and administrative courts, support and advice during the negotiation, preparation of agreements and legal advice. De-Kalo Law office works with a wide range of clients in various industries including: real estate, construction and infrastructure, investment and finance, start-up, and non-governmental organization not for profits. The firm also has a vast range of private clients including foreign residents from the U.S., Argentina, UK, Germany, France, Spain, Belgium, Turkey and elsewhere in Europe. The firm offers legal and commercial advice, including guidance during negotiations, drafting agreements and editing of contracts. Other legal services include establishment of companies, registration of the formation of companies, partnerships and associations. De-Kalo Law firm handles financial claims at the various court tribunals and submitting of verdicts, bills and checks to the execution chamber for debt collection. Wills, prenuptial property agreements signed before and after marriage, divorce agreements and reconciliations. Legal services regarding inheritance claims, wills and bequest. Submitting claims to the family court and the rabbinical court, concerning inheritance orders probate decree, child support, paternity, child custody, property claims and more. Our office provides various types of notary services in various languages including: Turkish, French, Spanish, English and Hebrew.